your classroom in a jiffy. The trick is called “The Magic Thing” (La Cosa Magica in my classroom) and has been around for awhile. I originally read about it Teaching on Track. First, I scan the classroom for something out of place, whether it be paper on the floor or a chair that is not pushed in. I write the “magic” thing on a scrap piece of paper. Once a student finds the magic thing, I write his or her name down on the paper by the magic thing they did or found. classroom is back to how it should be. I call all the students together and announce the winner(s). I show them the paper, so they know it was done fair and square. love, but you can use whatever reward system you have in place. Hope this is helpful! Do you have any tricks of the trade for getting students to keep the classroom clean? I teach 1-2 grades so I try to choose a different kid each day so everyone can choose form the magic bag. This is a great idea. 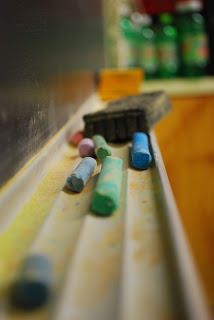 I teach Special Education Kindergartners and they really don't like to clean up. This may just be the motivation to get them moving. Thanks for commenting, Carolyn! Hope this works for you! I call it "A Minute to Magic" and they have one minute to be done. I teach 3rd grade. They love it, and I'm not using much time. I set the timer to keep it to one minute. I don't write it down. I do this but don't write down the item .. I try to ensure everyone gets their name in at some time .. we put names in a box until Friday – then draw out one name and that person picks from the prize bin. I like this idea too. I teach pre-k. I might have to come up with some pictures instead of words for the magic thing. Thank you for sharing!